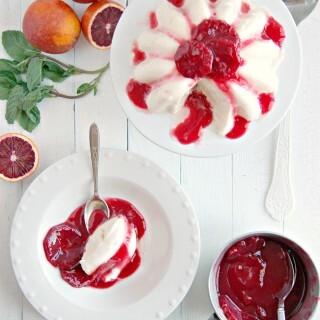 I love making this tart in the summertime, when the tomatoes start to become ripely flavored and deep red. 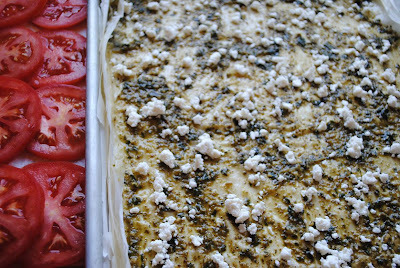 I like to leave the edges of the phyllo raw and flaky for that nice, rustic look. 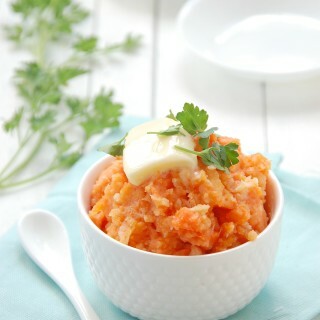 Try making this for a light dinner on a hot summer night. 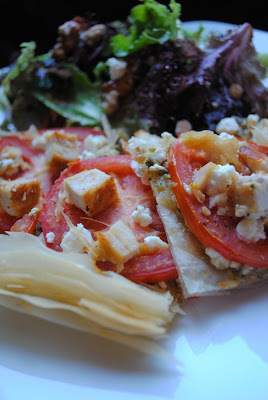 It’s great served with a salad of fresh baby greens and balsamic dressing. 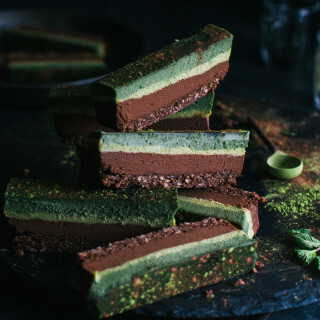 I made this last night and my husband ate half the pan! *Note that this recipe does not need a lot of salt. 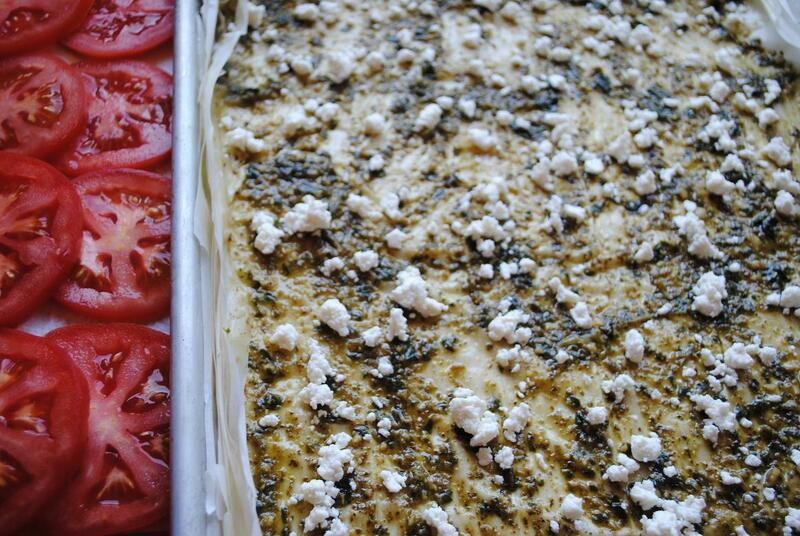 The pesto and the salty feta will add enough flavor on their own. Preheat the oven to 350 degrees. Begin by lightly greasing a cookie sheet. Lay three sheets of Phyllo dough overlapping across the sheet so that the entire sheet is covered. 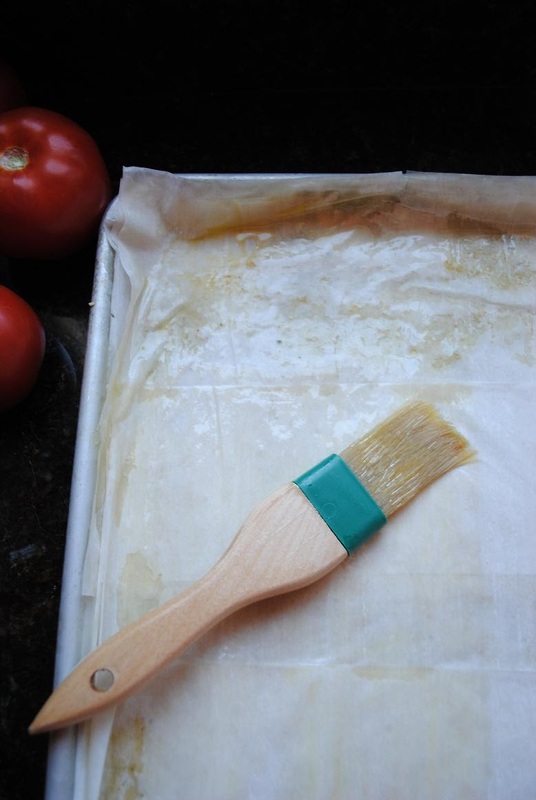 With a basting brush, lightly brush the olive oil over the surface of the phyllo, ensuring that all but the edges of the dough are covered. 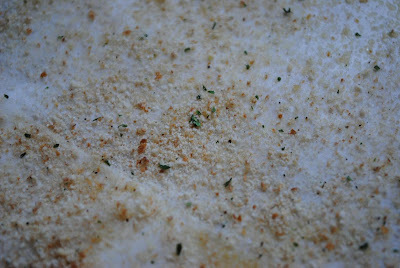 Sprinkle about 1 1/2 T. of the breadcrumbs over the oil covered phyllo dough, evenly covering the surface. 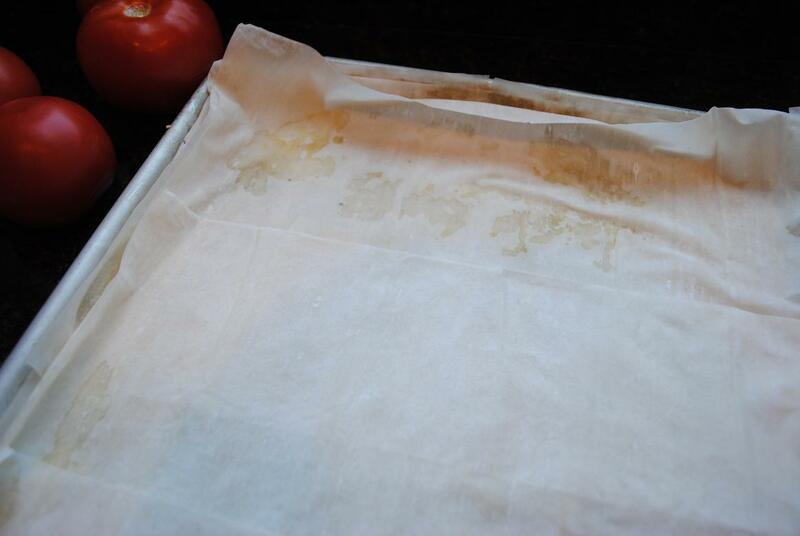 Repeat the last three steps(phyllo layer, oil layer, breadcrumb layer) until all the phyllo is used up. 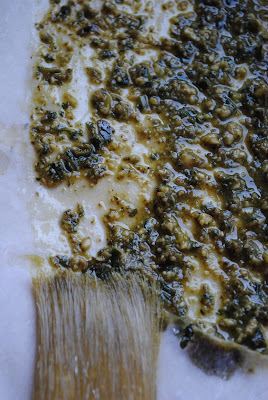 Place the pesto onto the phyllo dough and use a basting brush to spread it out evenly. Lay the tomato slices evenly across the top of the tart, covering all surfaces. 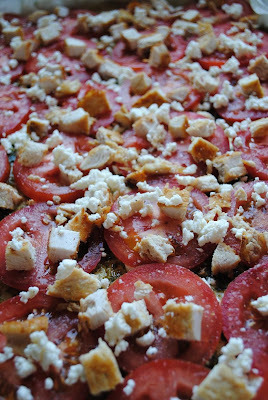 Sprinkle the remaining feta and the diced chicken evenly atop the tomatoes. Bake the tart for 25-30 minutes, or until the edges of the crust are golden brown and flaky and the phyllo on the bottom of the tart is crisp. Cut into squares using a pizza cutter and serve.